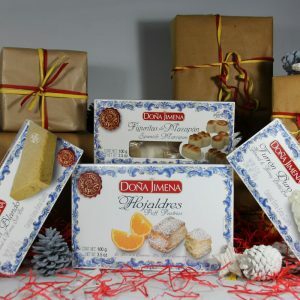 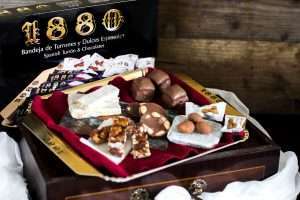 A classic selection of Spanish sweet treats from the well-known Spanish company, Dona Jimena. 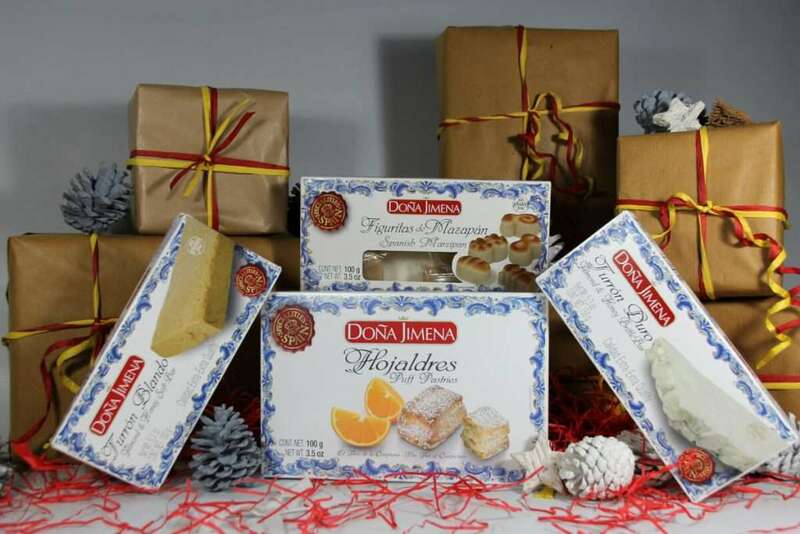 Two types of turron, the hard crunchy turron de Alicante and the soft turron de Jijona (150g of each), Marzipan figurines (100g) and Hojaldres (100g) - the sweet puff pastry treats. 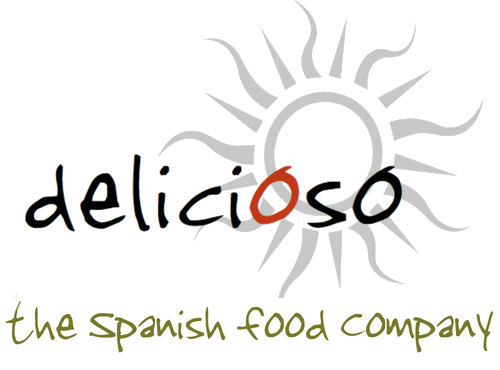 This gives you everything you need to bring a touch of Spanish sunshine to your day! 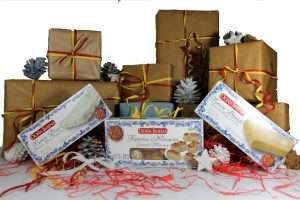 The four items are shrink-wrapped and tied with our lovely red and yellow raffia. 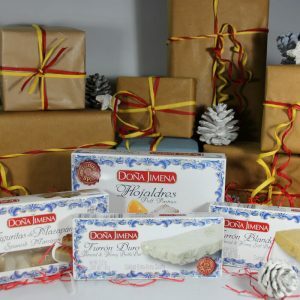 And we can add a gift message if you wish; simply let us know in the comments box when ordering!